The use of vaginal mesh surgical products has been immediately suspended in the United Kingdom. The decision comes on the heels of widespread concerns of significant, long-term health complications that have been reported by thousands of women who have received these implants to treat stress urinary incontinence. The suspension was recommended by The Independent Medicines & Medical Devices Safety Review—a commission that was established earlier in 2018 for the sole purpose of examining the safety of three medical products, including vaginal mesh. The current suspension is temporary. It’s set to last until at least March of 2019. During the life of the suspension, officials will seek to determine whether the potential benefits of vaginal mesh for the treatment of incontinence outweigh the potential risks. If it’s determined that vaginal mesh doesn’t have a favorable safety profile, this temporary suspension could become a permanent ban. In order for the suspension to be lifted, certain conditions must be met. Each procedure must be reported to a national database. All complications must be reported to a national registry. There are also limitations on who can perform the surgery. 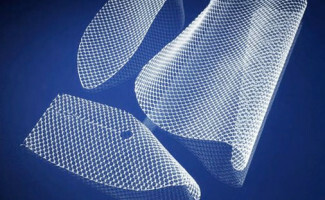 Only surgeons who are properly trained in implantation procedures, and who perform these procedures on a regular basis, may implant vaginal mesh. Furthermore, all specialist centers that treat urinary incontinence (including implanting vaginal mesh, removing mesh, and treating mesh-related complications) be properly accredited. Baroness Julia Cumberlege, the review board chair, and her team have been carrying out an intensive examination of the evidence regarding the risks of vaginal mesh. They have reviewed evidence from the NHS, regulators, and other public entities, as well as individuals from the health professions, private sector, and manufacturers. But the heart of the review is the interviews with women who have suffered complications. “I have been appalled at the seriousness and scale of the tragic stories we have heard from women and their families. We have heard from many women who are suffering terribly,” said Baroness Cumberlege in a press release. She added that her team has so far not seen any evidence that the potential benefits of vaginal mesh outweigh the potential risks. In the U.S., vaginal mesh is made by a handful of manufacturers, including Ethicon, C.R. Bard, and Boston Scientific. In July 2011, the FDA released a notice stating that the agency had received thousands of reports of adverse events stemming from the surgical product just from the time period of January 2008 to December 2010. The FDA determined that evidence was lacking to suggest that transvaginal mesh was any more beneficial than other surgical methods of repairing pelvic organ prolapse, which leads to urinary incontinence. Since that time, thousands more vaginal mesh lawsuits have been filed against the manufacturers. In fact, it’s one of the largest mass torts in recent memory, with more than 100,000 lawsuits filed. Many of these lawsuits have been resolved with settlement agreements.